Above is my art quilt, Exuberant. 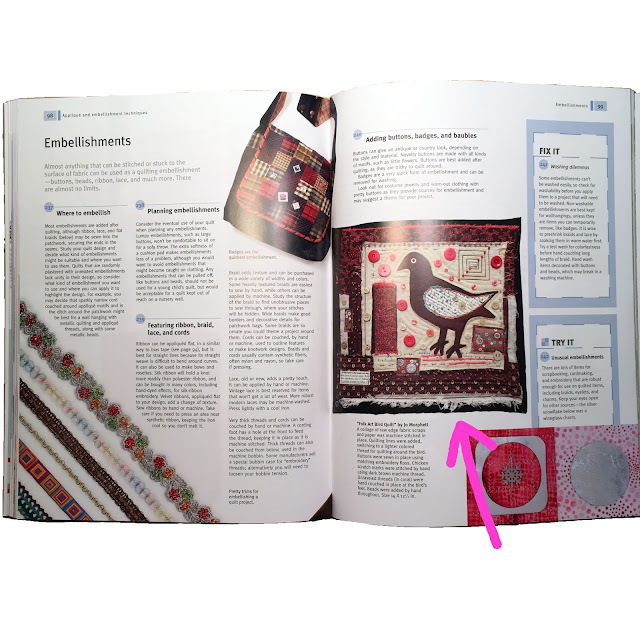 350+ Quilting covers all aspects and styles of quilting and has detailed advice and information on choosing equipment, preparing fabrics, colour confidence and more including working with quilt patterns, cutting skills, patchwork techniques, appliqué and embellishments and binding and finishing. Those are only a few of the topics covered. There is so much to learn and love in this book! Above is my Folk Art Bird Quilt in one of the many sections on the differing ways to add to and embellish fabric. 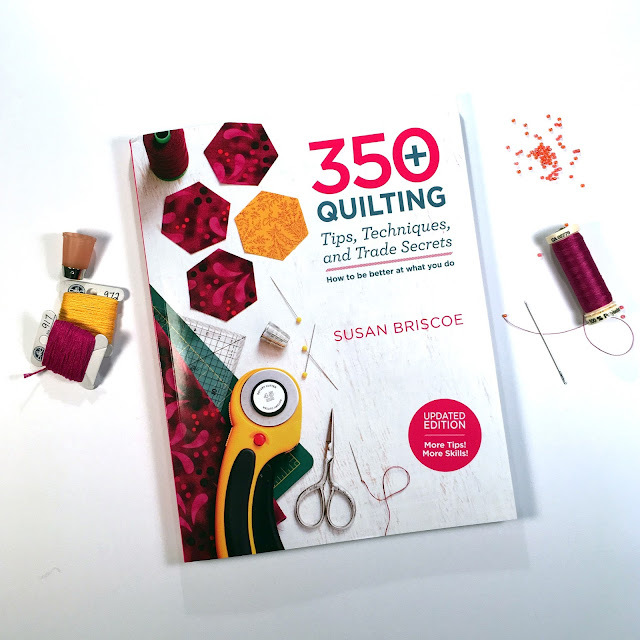 Even if you only ever stitch by hand or are a die-hard machine fan, 350+ Quilting Tips is a great resource, and it's a perfect primer for hand stitchers and quilters of all levels. A handy all in one resource, I think the book will inspire and jumpstart creativity wherever it is found. So grab a copy for yourself or a friend. I'm a big fan of everything about this book and also so honoured to be a contributor!